I recently came across an article that incensed me so much that I just had to do something about it. Written by and published on an optics reviews & buyers guide, it contained a list of their Recommended Top 5 Best Binoculars Under 100. What really annoyed me was that it was immediately obvious to me that whoever wrote it knew almost nothing about binoculars by the wording that they used. What if you were new to optics and perhaps looking for the best entry level binoculars that you can afford? You may not realize that the advice and recommendations that they give are complete rubbish and thus could easily be persuaded into buying what you were told were the best cheap binoculars available. But in reality you were looking at nothing more than a random selection of binoculars costing less than $100! Worse still and at this cheap price range in particular, you would most likely end up with a complete dud, little better than a toy and which would probably put you off off using them or indeed any other binoculars for life. 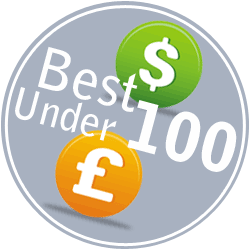 BBR's Best Binoculars Under 100! For those looking for the best budget binoculars of 2019, but who also want real advice and genuine, honest recommendations with reviews that were written after thorough testing by a user with years of experience and who has literally tested and compared hundreds of binoculars, then look no further! I have put together my own list of what I believe are the very best binoculars under $100 (£/€) in a range of different size and style categories. Please note: My shortlist was created using ONLY the best affordable binoculars that I have actually reviewed and not every single binocular under $100 on the market. The binoculars below are a selection of the very best, highest scoring budget binoculars that I have reviewed on BBR. Note that all have been chosen from my cheap and low cost price categories and so at the time of my review cost less than $130 / £130. I realize that this does mean that some may cost slightly more than $100, but at the same time many could have had price reductions since the review and so now will cost less than $100 and so making them an absolute bargain, so feel it is well worth checking them out.